These platinum & 18ct red gold earrings were handmade to Alan's design to match the necklace & ring that is on the site. 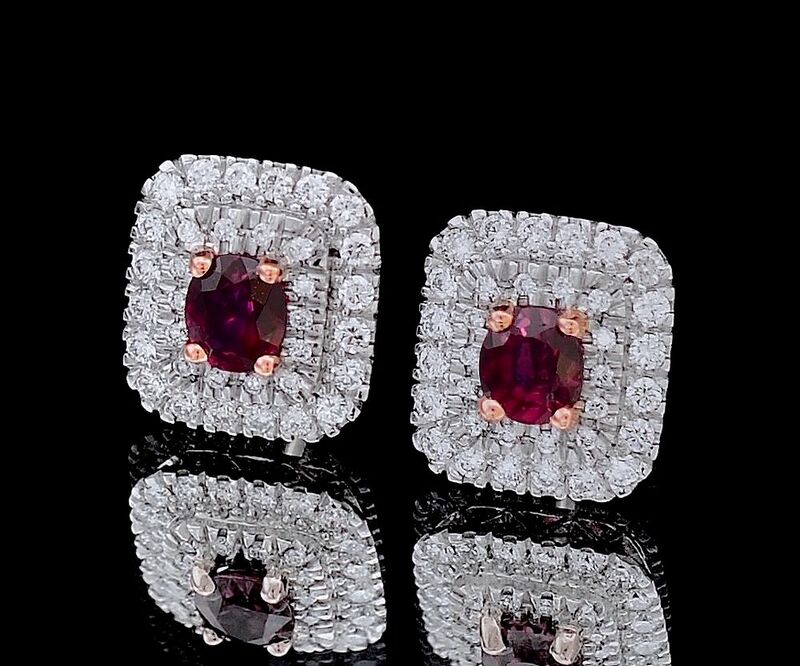 In the centre of each earring is an oval ruby set in 4 18ct red gold claws. 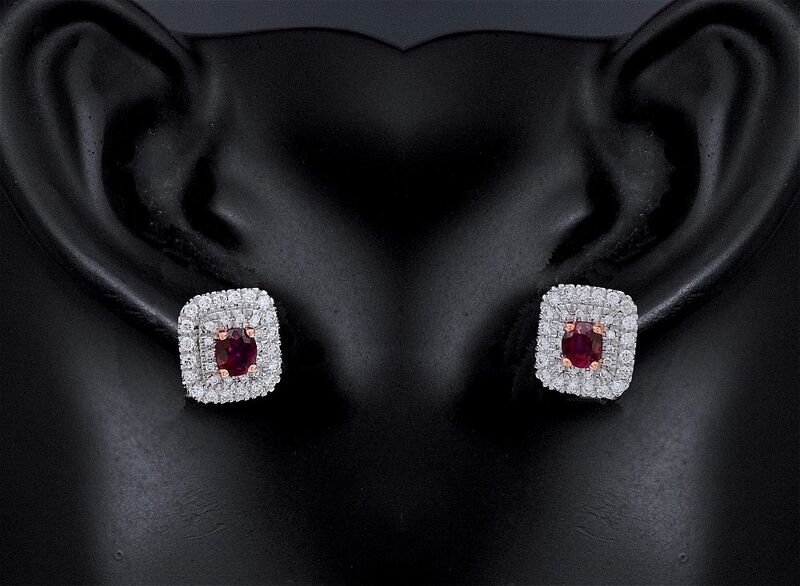 The ruby is set slightly above a double frame of small round diamonds set in platinum above a platinum basket. There is a platinum post and platinum butterflies. The earrings have been hallmarked by the London Assay Office for platinum & 18ct gold, for 2017 and with the sponsor's mark "A&SP" for Alan & Sue Poultney.